How very impetuous of you. I’m glad that worked out. I wouldn’t recommend impetuousness for everyone; I really like the idea of underwater societies, and I was playing Bioshock when the idea struck me to get a tattoo of a water-bloated corpse down my right calf. My judgment has improved since then, but only marginally. Anyhow. 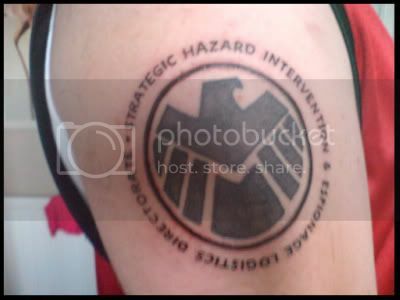 You can also check out Lewis-Paul’s “favourite” tattoo of the Iron Fist logo on the GWS Facebook Fan Page.